Mckesson says he was charged with obstruction of a roadway. camera (AP Photo/Max Becherer) Police arrest activist DeRay McKesson during a protest along Airline Highway, a major road that passes in front of the Baton Rouge Police Department headquarters Saturday, July 9, 2016, in Baton Rouge, La. Protesters angry over the fatal shooting of Alton Sterling by two white Baton Rouge police officers rallied Saturday at the convenience store where he was shot, in front of the city's police department and at the state Capitol for another day of demonstrations. 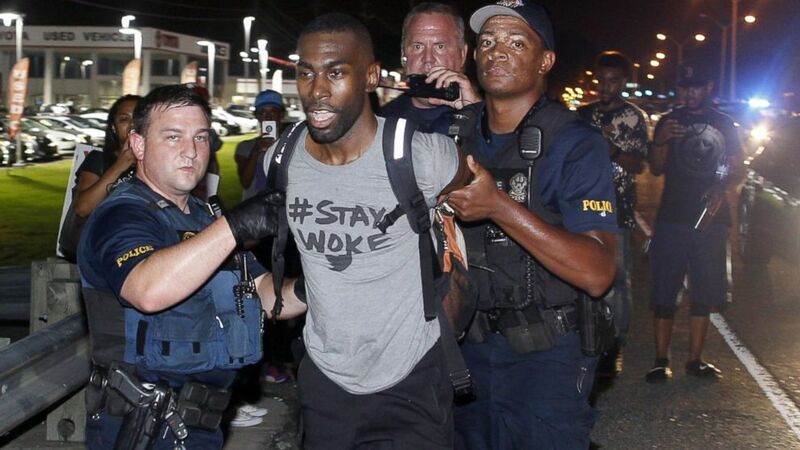 Prominent Black Lives Matter activist DeRay Mckesson has been released from jail after being arrested during a protest in Baton Rouge, Louisiana, Saturday night, according to officials. A booking record from the East Baton Rouge Sheriff's Office confirms that Mckesson was arrested. He was being held at the East Baton Rouge Parish jail, according to records. 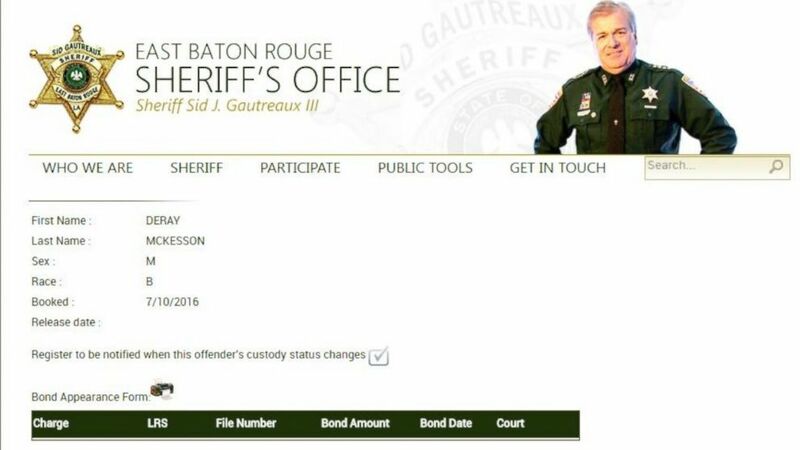 And The Associated Press reported that Baton Rouge Police Department spokesman Cpl L'Jean McKneely told The Advocate newspaper that Mckesson was arrested Saturday night. (East Baton Rouge Sheriff's Office) The booking record for Black Lives Matter activist DeRay Mckesson, booked on Baton Rouge, Louisiana on July 10, 2016. Mckesson was filming video of the protest and walking alongside Airline Highway when he was arrested. According to Mckesson, he was charged with obstruction of a roadway. Upon his release, Mckesson said Baton Rouge Police were provoking peaceful protesters. He was among hundreds of individuals protesting against the shooting death Tuesday by police of 37-year-old Alton Sterling. Mckesson said he remains hopeful that the Justice Department will intervene both investigation into the death of Alton Sterling and the way police treat protesters. Mckesson gained a national following after he left his then-home of Minneapolis in August 2014 for Ferguson, Missouri, to document the the police shooting of Michael Brown. ABC News' Devin Villacis contributed to this report.